Apart from playing the recorder flute in primary school and keyboard with my father-in-law, I pretty much never had the chance to make music or even, to create new music. That did not bother me in the past, but when I married into a very musical and creative family I realized I was the only one without musical education or skill in playing an instrument. The family has (ir)regular jam sessions and sometimes arranges (mostly private but) quite high-quality classical music performances. But, I had other hobbies, Slackware being one of them of course, and reading books while listening to my own music collection (which almost has no overlap with my wife’s by the way). And I was glad when I saw that my son has inherited my wife’s genes and has a knack for languages and music. He is exploring digital music making, has a keyboard or two and installed Ableton Live on his computer. I could never convince him that Slackware was the better alternative to Windows, all his friends are on Windows and what the group does is important for a teen. And furthermore, there’s a slew on tutorial and instruction video’s out there, all expecting you to use Ableton. I looked at Ableton for its possibilities, and I had several discussions with one of my colleague/friends who is also a DJ/producer and uses Ableton a his primary driver. Seems to be a real nice program… but it costs hundreds of euros. So purchasing a license for Windows 10 and another one for Ableton, just to be able to converse with my son was not an option. I’ll introduce him to my friend and we’ll visit his studio to get inspiration. Then he can implement what he learnt, using tools he is familiar with. During the past two years, I made some purchases just to have fun with creating sounds and rhythms, buying a couple of Pocket Operators from Teenage Engineering. I had one of these PO’s in my car, plugged into the car stereo and let my son create loops and sounds while on trips. Lots of fun and not too expensive. I also have an external USB soundcard,a FocusRite Scarlett 2i4. and a MIDI keyboard and bass guitar in the attic. But life’s too short and lots of stuff asks for attention – I never spent much productive time with my gear. But these recent discussions about how to create digital music from scratch, and my wish toe be able to record the live performances of my in-laws, triggered a desire to have a better look at electronic music production and music recording, but then on Slackware Linux of course. What would be needed for that? I would need software to create sounds (i.e. synthesizers), manipulate audio, create drum tracks, sequence the music, record and mix it. Also my USB sound card needs to be supported and I want my use midi keyboard to enter the notes that I play into the system. I obviously need low-latency real-time performance of my Digital Audio Workstation (DAW). I guess that for many Linux musicians, the Debian-based AVLinux is a first choice when looking for pre-packaged, pre-configured Digital Audio Workstation (DAW) solutions and supporting software. But we Slackers already have Studioware – a Slackware expansion set which gives you a great toolkit with audio- and video manipulation software. My liveslak project even supports Studioware directly, and is able to create a Studioware Live ISO. You should try that out – it has a ton of software, not just for audio but also for video recording, manipulation and recording. But… again… and that’s just me… I think that there’s no fun in using other people’s ready-made stuff. Here I am thinking again as the software packaging geek who wants to create possibilities for other people while not necessarily using those myself. Anyway, I decided not to look too closely at what others had already done, and research a decent set of software products that I want to try out, and on Slackware-current too. Studioware is running on Slackware 14.2 and I tend to develop new stuff on our development platform. 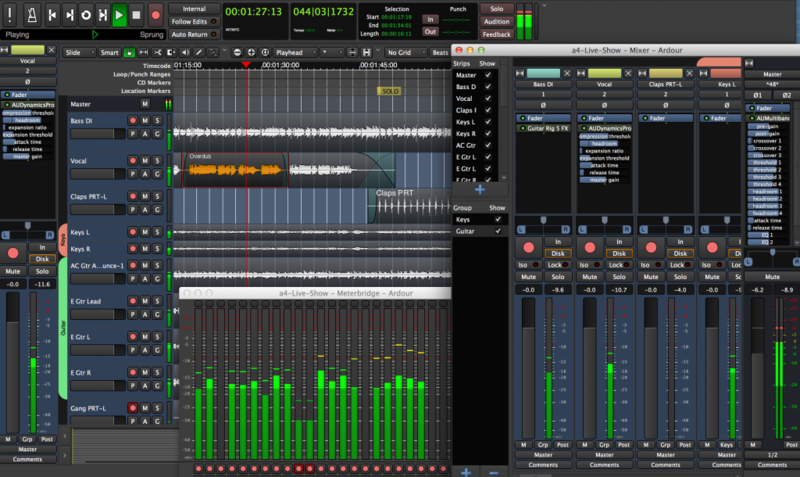 ardour: the professional-grade Digital Audio Workstation (DAW). 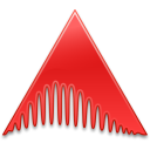 audacity: a graphical sound editor with a GTK3 based UI. amsynth: an analog modelling synthesizer. helm: a polyphonic synth with lots of modulation also works as a LV2 plugin. zynaddsubfx: a software synthesizer and also a LV2 plugin. hydrogen: an advanced drum machine with Qt5 based GUI. vmpk: Virtual MIDI Piano Keyboard is a MIDI events generator and receiver which can be used to drive a MIDI synthesizer. avldrums.lv2: a LV2 plugin wrapping the AVLinux Drumkits. calf: Calf Studio Gear is a LV2/DSSI plugin collection but it also works as a standalone JACK-host. eq10q: equalizer (and more) as LV2-plugins. vamp-aubio-plugins: a small collection of audio feature extraction plugins. jack-audio-connection-kit (jack2): to provide low-latency real-time audio routing. alsa-plugins-jack: part of alsa-plugins but not included in Slackware, allows audio to be routed to and from ALSA applications that are not JACK-aware. qjackctl: a Qt5 application to control the JACK sound server. aubio: a system to extract annotations from audio signals. ladspa_sdk: SDK for sound plugins adhering to the Linux Audio Developer’s Simple Plugin API (LADSPA). liblo: implementation of the Open Sound Control (OSC), a protocol for communication among multimedia devices. lv2: the LV2 open standard for audio plugins. rubberband: a library for audio time-stretching and pitch-shifting. vamp-plugin-sdk: an audio processing plugin system (you still need to install actual plugins). drumstick: MIDI libraries for Qt5. This is also part of my ‘ktown‘ Plasma5 desktop package set. liblrdf: library to access LADSPA plugin metadata. lilv: a library for using LV2 plugins in applications. mxml: library to read and write XML and XML-like data files. sord: library for storing RDF data in memory. sratom: library for serialising LV2 atoms to and from RDF. suil: library for loading and wrapping LV2 plugin UIs. libxkbcommon: support library for Qt5, handling keyboard descriptions. OpenAL: support library for Qt5, implementing a 3D audio API. SDL_sound: support library for Qt5 handling the decoding of various sound file formats. lsp-plugins: Linux Studio Plugins supporting LV2, LADSPA and Jack. portaudio: a cross platform audio I/O library. portmidi: a platform independent library for MIDI I/O. qsynth: a Qt5 GUI Interface for FluidSynth. Looking back, that is a big list! Actually when I started with my shortlist as mentioned above I did not anticipate that my ideas would require this many tools to support it. However I think that in order to do some serious audio production work on your computer, this is actually the minimum of applications that you require. There may be more, and I am very curious to hear from you if there is Open Source Software not on the above list, which you think is invaluable to your work as a musician or music producer and should be added here. The ‘big boy’ in this collection, and the center of any DAW activities on Linux, is Ardour. This is a complex program, but luckily the developers have an extensive manual online. And if you search on Youtube you will find a lot of videos on how to work in Ardour (most of them for older versions and most of them too obscure or too rambling to be educational). However, an Ardour channel on Youtube has just been created with the intention of releasing a new series of quality instruction videos, produced by Unfa who himself has a lot of nice videos on his own channel. Like I said, I have been scratching my head a lot lately, but my hair is still there and I will make progress and understand how to use this tool efficiently… eventually. And I am glad to finally have Audacity in my repository, something I wanted/needed for quite a while. All these packages are available in my regular repository, with one caveat (at least for now): I have built all of them for Slackware-current (both 32bit and 64bit). If you are running Slackware 14.2 then for now you need to have a good look at Studioware instead, or you can of course download the sources for my packages and compile them yourself. I hope to get some interesting feedback from you. I am also considering how all of this could be added to a function-focused liveslak variant, as small as possible so it may load completely into memory. Actually I would prefer to attempt such a Live ISO using a bare Plasma5, rather than XFCE or other light-weight desktop environments (everybody else is probably already using XFCE). The Plasma5 desktop framework is very powerful and fast, and it could benefit the user of a DAW if everything she plugs in just works. Posted: 9 March, 2019 in Art, Me, Music, Software. Handbrake in Slackware-current was broken after a libvpx upgrade. So I had to recompile. Instead I took the opportunity to compile the new release of HandBrake (1.2.2). Read the releasenotes for the 1.2.x series if you are interested. Most notable is that the team switched back from libav to ffmpeg 4.x as the core engine. Always uncertain whether the GTK+-3 based GUI will compile. This time, I had to patch a function call out of the sourcecode that was introduced in a later version of GTK+3 than we have in Slackware 14.2. But that was relatively easy, all you will miss is a clickable link to the Handbrake homepage in the “About” box I think. Slackware-current is still uptodate as far as GTK+-3 is concerned. 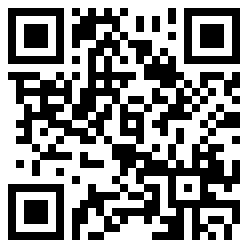 Please use the comments section to share your feedback about the Slackware package and the use of the Handbrake binary. I did not test, one of the reasons being that I do not have a DVD reader. I remember people giving feedback about older releases of Handbrake where DVD ripping had issues. Note that my ‘handbrake‘ package does not have any external dependencies – unlike the slackbuilds.org version. Install and run, it’s that simple. Everything you need is compiled statically into the package. The ‘HandBrakeCLI‘ program is the command-line variant, whereas ‘ghb‘ is the GUI variant of HandBrake, also found in the “Multimedia” menu of your desktop environment. 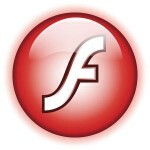 Adobe released updated versions for their Flash Player plugins halfway February. I missed those initially, but today I fixed that. The Slackware packages for version 32.0.0.142 of the flashplayer-plugin (NPAPI plugin for Mozilla based browsers) and the chromium-pepperflash-plugin (PPAPI plugin for Chromium based browsers) are available in my repository now. Also recently there was a new release for the IcedTea framework: version 3.11.0 compiles the latest Java 8, to be specific you will get OpenJDK 8u201_b08. This release syncs this OpenJDK build to the January 2019 security fixes for Java. If you want to compile OpenJDK yourself you will need apache-ant as well. Today, Pat upgraded the GCC compiler suite in slackware-current to 8.3.0 and I did the same for the multilib version of the GCC packages. The release was simultaneous on both sides thanks to the fact that I had advance access to the Slackware package files. Thanks Pat. And you’ll also enjoy a new kernel in that same batch of updates in -current. Grab the packages while they’re hot! Pat decided to update the Python 3 to version 3.7.2. This update from 3.6 to 3.7 broke binary compatibility and a lot of packages needed to be rebuilt in -current. But you all saw the ChangeLog.txt entry of course. In my ‘ktown’ repository with Plasma5 packages, the same needed to happen. I have uploaded a set of recompiled packages already, so you can safely upgrade to the latest -current as long as you also upgrade to the latest ‘ktown’. Kudos to Pat for giving me advance warning so I could already start recompiling my own stuff before he uploaded his packages. A couple of good things came out of this effort. I took a patch for the ‘sip’ package from its repository, which then allows for compiling the ‘PyQt’ 4.x package errorfree. This patch will be applied the next official sip release by Riverbank Computing, so then Slackware-current can finally also upgrade to the latest sip and PyQt versions. I wrote a one-liner patch for QScintilla to make the PyQt4 part compile again. So now my QScintilla re-gained support for Qt4 next to Qt5. I updated the ‘digikam’ package to DigiKam 6.0.0, a new major release after two years of development.